Did you know that there have always been two basic types of beer? One being lager and the other known as ales? What makes these types of beers so different from each other is not about how much alcohol goes into them or how bitter their taste is, but what the brewing process is involved. So how about we check it out! Ales are actually made with a technique of “top fermenting”. At the surface of the fermentation tank various types of yeast start fermenting. You can see them coming to the tank’s surface when the fermentation ends. Ale yeasts sometimes form these chemicals called esters and these sometimes affect the taste of the beer, although it depends on the type of the yeast.Â However, make sure to keep in mind that not all brewers use “top fermenting” yeasts. Some actually use “bottom fermenting”, which also can make great ales. Now, lagers are brewed in aÂ opposite way toÂ ales. They use yeasts known for “bottom fermenting”. Once the yeast hits the bottom of the tank,Â it starts to ferment. Once that process is done, it collects at the bottom. Since it goes back at the bottom, brewers can often reuse it. Yeasts used in lagers do not add much to the taste of the beer. The taste usually comes from the malt and hops. Because lager fermentation sinks at the tank bottom, it needs to be left in colder temperatures like 4 Â°C-13Â°C. This gives a fresh, easy, crisp beer withoutÂ so much character asÂ ales. With ale-style beers, the fermentation rises to the surface of the tank.Â Therefore, typically it sit at a higher temperature closer to 18Â°C-22Â°C. This gives more of a complex and strong tasting beer than the lagers. There are also some additional ingredients that can also be put into some ales and lagers. Have you ever wondered why ales have more of a bitter taste than lagers? Well, often brewers of ales put greater amount of malt, roasted malts, and hops into their recipes, whereas, brewers of lagers actually put limited beer ingredients. They only use malted grain, hops, yeast and water. lancemoho. "Difference Between Ale and Lager." DifferenceBetween.net. 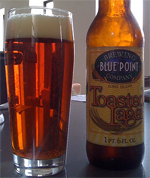 August 27, 2009 < http://www.differencebetween.net/object/difference-between-ale-and-lager/ >. Interesting to know the difference between ale and lager beer. The brewing process is also fun hobby to start. Just came across your site and liked the couple of things that I checked out.